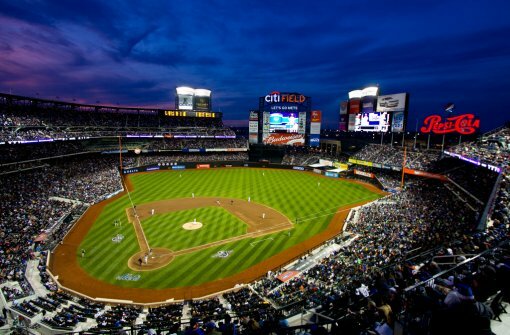 TicketNews has learned through various reliable touring industry executives that Paul McCartney will be the first artist to perform at Citi Field in Flushing, NY. The three shows are currently scheduled for July 17-18, and the concerts, more than 40 years after McCartney’s iconic performance at Flushing’s Shea Stadium with The Beatles, will be promoted by AEG Live. An official announcement is probably two weeks down the line, and there may be a third date added on July 21. In other Macca news, Sir Paul will be playing his first show ever in Halifax, Nova Scotia on July 11, 2009, a few days before their annual Tall Ships Festival (Buy Tickets). The show promises to be “the largest and most exciting concert” in Halifax’s history, according to Harold MacKay, president of Power Promotional Events, the company responsible for bringing the music legend to the port city. [National Post]. More about the Halifax Tall Ships Festival after the jump. Come to Nova Scotia for the international gathering of world-class Tall Ships from July 16 to August 1, 2009. Having hosted Tall Ships gatherings four times over two decades, Nova Scotia is no stranger to the visitors who come to see these grand ships in Halifax and ports across Nova Scotia. Nova Scotia provides the perfect setting for a Tall Ships event. The atmosphere, the tradition and the opportunity to follow the ships around the province is an experience that is offered to the visitors and people of our province during Tall Ships Nova Scotia 2009. Ships will arrive in Halifax on Thursday, July 16 and following the magnificent Parade of Sail in Halifax on Monday, July 20, designated ships will head north to Cape Breton, making stops in Port Hawkesbury (July 22 – 23) , Louisbourg (July 22 – 23) and Sydney (July 25 – 26) while others will head to the mainland ports including Lunenburg (July 22 – 23) Pictou (July 28 – 29) and Pugwash (July 31 – August 1). Don’t wait. Plan your Tall Ships Nova Scotia vacation today. Imagine stepping aboard a majestic Tall Ship feeling the sway of the deck and seeing the view from the bow, this is the only way to experience a Tall Ship, short of sailing on one. Daily and weekend passes to board the ships are available! If you are interested in sailing on a Tall Ship and learning the ropes (literally), Tall Ships Nova Scotia 2009 can offer that experience too! Halifax is an official port of the Tall Ships Atlantic Challenge Race. The trans-Atlantic regatta will start in Vigo, Spain. From there the fleet will race to Tenerife in the Canary Islands, en route to Bermuda. The fleet will then sail to Charleston, South Carolina before heading to Boston. From Boston the fleet will cruise in company north to Halifax, and then race back across the North Atlantic to Belfast, Northern Ireland. Everything you need to know to plan your vacation is here at www.tallshipsnovascotia.com or by calling (902) 405-7700. Don’t miss Tall Ships Nova Scotia 2009! See Tall Ships around the Province! Cynthia here from Nova Scotia Tourism. Just came across your post. Of course I love this fair city but with Tall Ships and Paul McCartney it’s going to be extra alive! We’re really excited to have both coming to town. We’re running a few contests on http://www.novascotia.com. If anyone plans to come they should definitely check us out. We’re also on Twitter, Facebook and Trip Advisor.